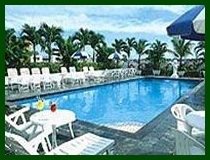 The hotel offers 184 standard rooms and suites. All are equipped with individually controlled air-conditioning, television, mini-bar, coffee and tea facility, refrigerator, IDD phones, safety box, and private bathroom with bathtub. 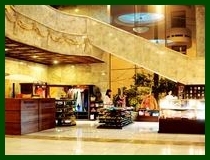 Whether you are visiting for business or pleasure, the hotel sure you will find accomodations more than satisfying. 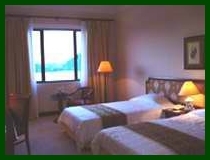 At an area of 34m2, there are 62 Superior rooms with big windows to look over Halong Bay. All room equipped with all comforts to ensure you a relaxation and pleasant stay. 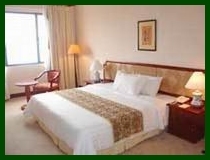 The hotel offers 3 Deluxe rooms with an area of 38 m2 and views of Halong Bay. All rooms are large and equipped with all comforts to provide you with complete relaxation for your stay pleasure.